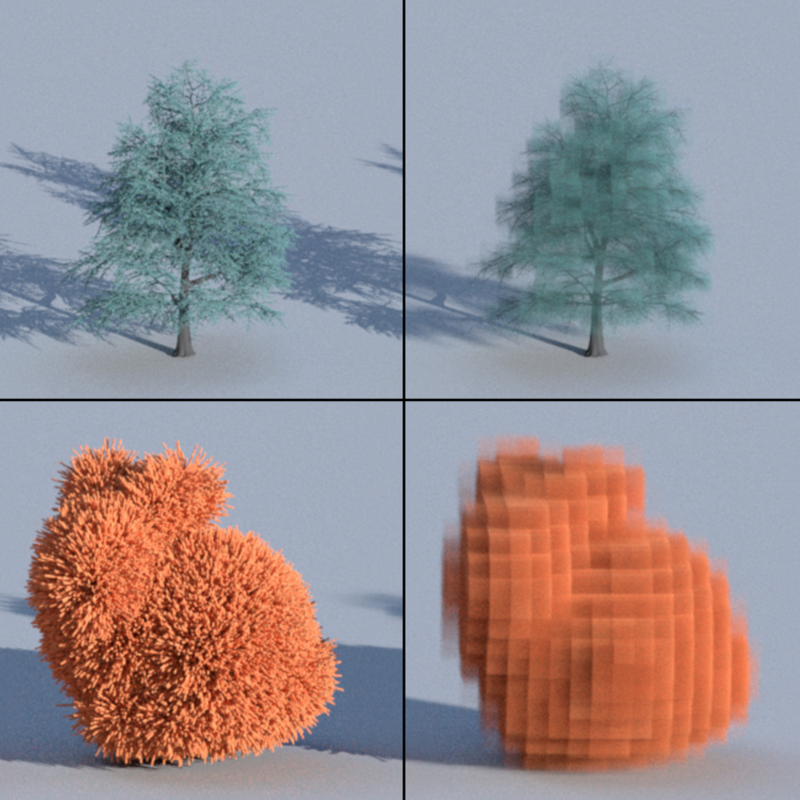 Abstract : Naïve linear methods for downsampling high-resolution microflake volumes often produce inaccurate appearance, especially when input voxels are very opaque. Preserving correct appearance at all resolutions requires taking into account masking-shadowing effects that occur between and inside dense input voxels. We introduce a new microflake model whose additional parameters characterize self-shadowing effects at a microscopic scale. We provide an anisotropic self-shadowing function and microflake distributions for which the scattering coefficients and the phase functions of our model have closed-form expressions. We use this model in a new downsampling approach in which scattering parameters are computed from local estimations of self-shadowing probabilities in the input volume. Unlike previous work, our method handles datasets with spatially varying scattering parameters, semi-transparent volumes and datasets with intricate silhouettes. We show that our method generates LoDs with correct transparency and consistent appearance through scales for a wide range of challenging datasets, allowing for huge memory savings and efficient distant rendering without loss of quality.